hello friends. 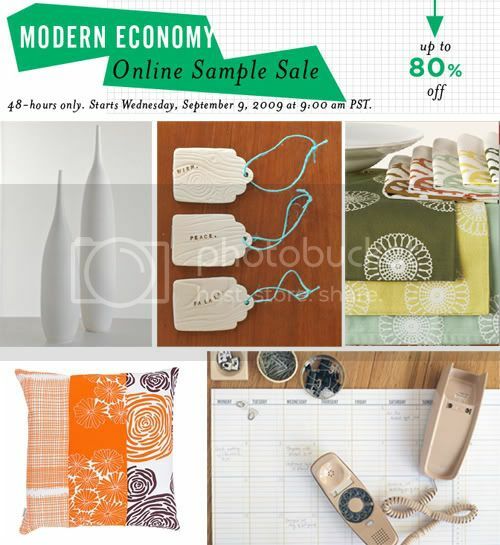 don't meant to tempt your wallet but i just couldn't resist letting you know about the modern economy online sample sale with up to 80% off certain things! now's your chance to get some lovely items by some amazing artists. sara paloma's pottery is half off! (almost gone!) , really cute notepads + pillows by mateo ilasco, lovely ceramics from rae dunn and AMAZING paper goods from jill bliss, good on paper, and my personal favorite: oh joy! the $10 and under section is my fav. if you buy anything, let me know what you got! ;) sale ends 9.11 at 9am! oh no! i'm probably too late. i'm hopping over there to see what i can find! Thank you for reminding me. I had gotten an e-mail and forgot. I just ordered the to do list and weekly list that I had been wanting from mateo ilasko for only $5 each, yay! Oooh a sale! I am so excited. Christmas shopping time! i do love a good sale! I just started a project with wood grained paper similar to those ceramic tags shown there. Very nice!